Columbia Lighting LCAT Collection Static air function LED contemporary architectural troffer in high reflectivity matte white paint finish, features cold-rolled steel construction. 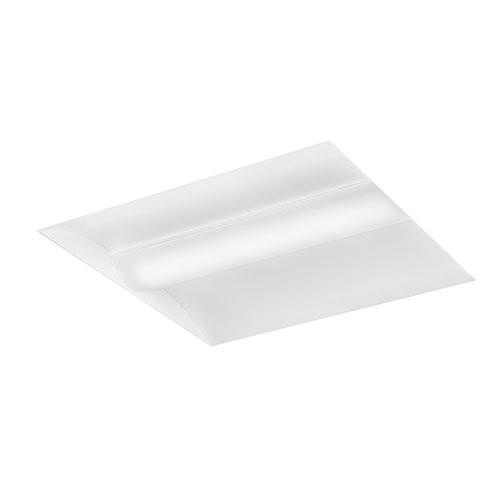 This LED troffer in rectangular shape, uses 38.8-Watt LED that has voltage rating of 120 - 277-Volts. Lamp in the LED troffer has color rendering index of 80 and color temperature rating of 3500K to ensure optimal light level in the surrounding. LED Lamp offers 4914-Lumens of bright light output. It measures 48-Inch x 24-Inch x 4-Inch.